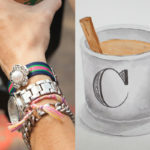 The holidays are full of sparkle and glamorous metallic accessories. 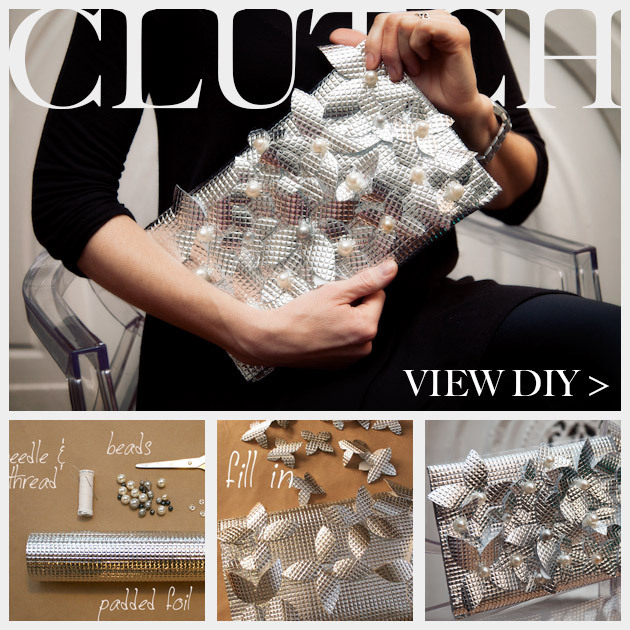 This DIY Foil Clutch is a simple and inexpensive way to make an on trend clutch for your next holiday party. 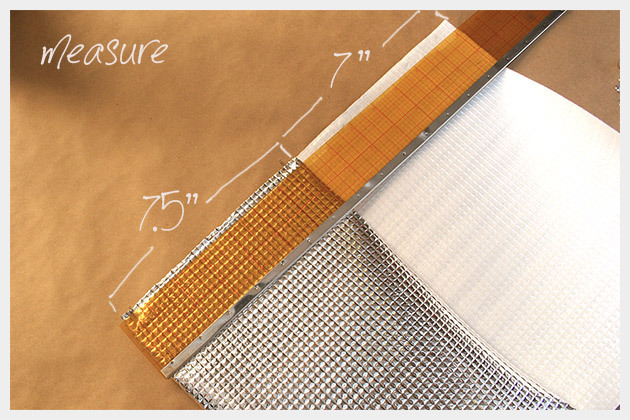 Measure your foil to the size you want to make your clutch. I made mine 11 inches wide by 7.5 inches high. The flap is almost as high as the bag 7 inches. 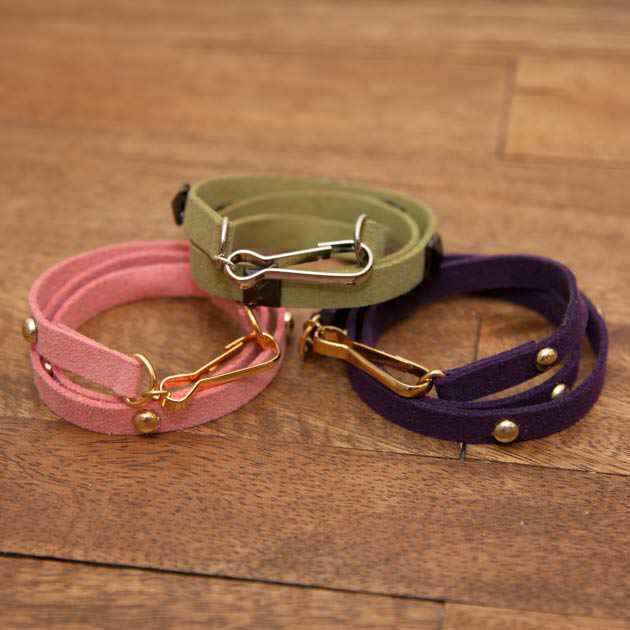 Pin the sides of your bag together to hold it while you hand stitch it together. 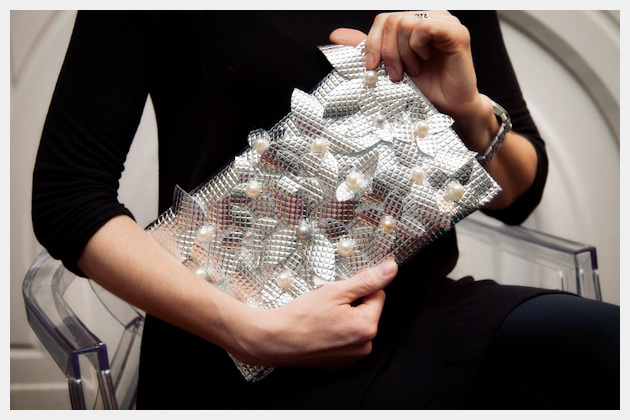 Using your needle and thread carefully sew the sides of your clutch together. After the sides of your bag are sewn, youll want to mark where youll place your snaps or Velcro. Even though I used snaps, I recommend using Velcro because it would put less stress on the foil when opening and closing your bag. 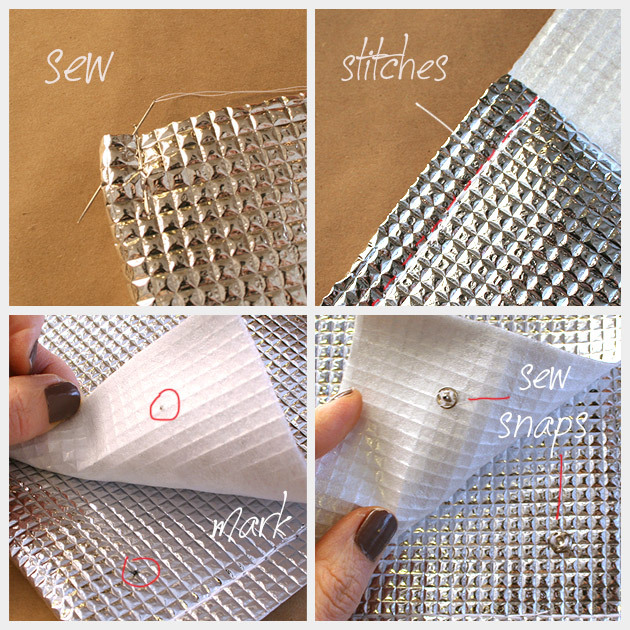 Using your needle and thread sew your snaps or Velcro to your bag. On your paper draw a simple flower. Trace your flowers on your foil. Trace a bunch, I made 6 large flowers and 13 small flowers. 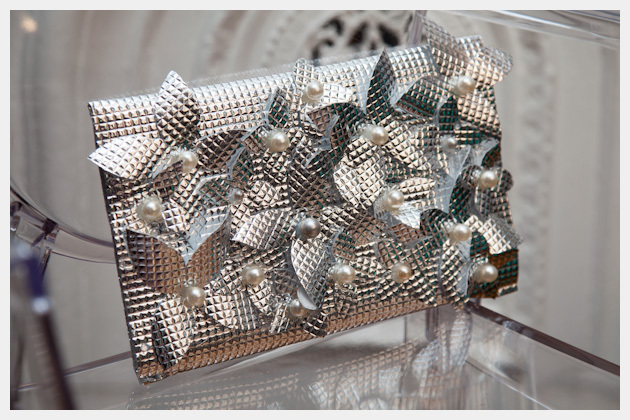 Using your hot glue gun glue your flowers all over the front flap of your clutch. Spread the flowers out evenly, I glued the large flowers on first and then used the smaller flowers to fill in. 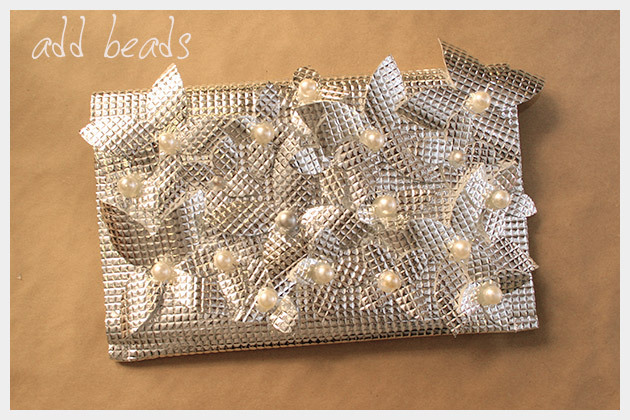 Once youve glued all your flowers to your clutch, add your beads. I glued one bead to the center of each flower. I mixed up the sizes and color shades. The holidays are right around the corner. With office parties, holiday get togethers and nights out youll definitely need an on trend clutch to carry all your necessities. I apologize for the lack of posts lately. Ive finally gotten back on track and will be posting much more regularly, especially through the holidays and the end of the year. 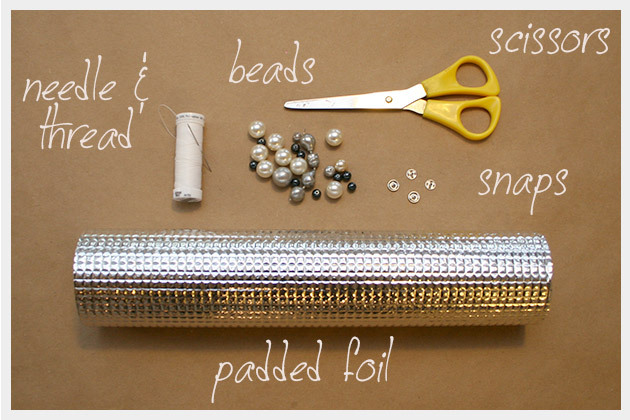 This is such a clever use of the padded foil, I’ve only used the regular gold metal sheets for DIYs before. 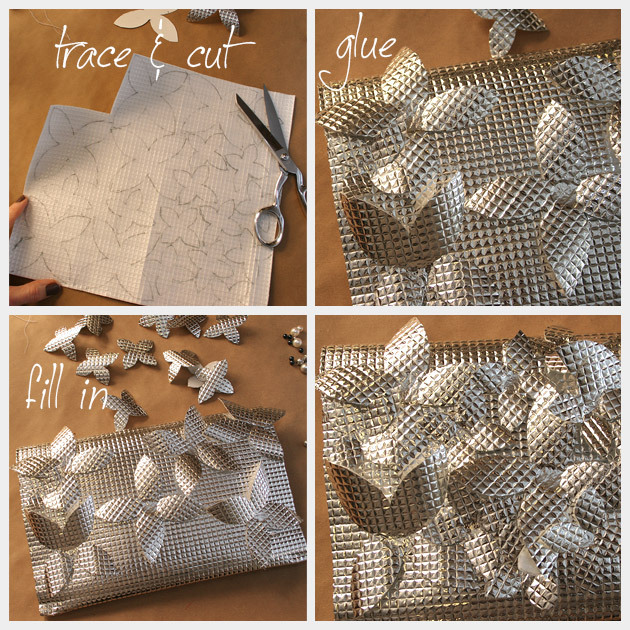 Beautiful DIY purse! 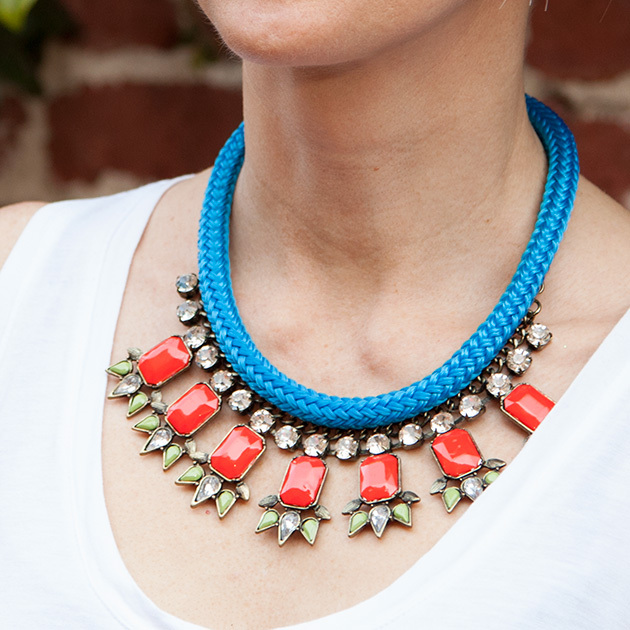 What a fabulous creation this is … Love it!